Earlier this month in Chicago, iManage held their Sales KickOff event for 2019. The conference was well-attended in the stunning Radisson Blu Aqua Hotel. There seemed to be two main themes of the agenda. The first theme was the iManage Cloud environment. iManage shared that they have had 3x growth in Cloud adoption over past 2 years, with now over 800 customers living in the iManage Cloud. 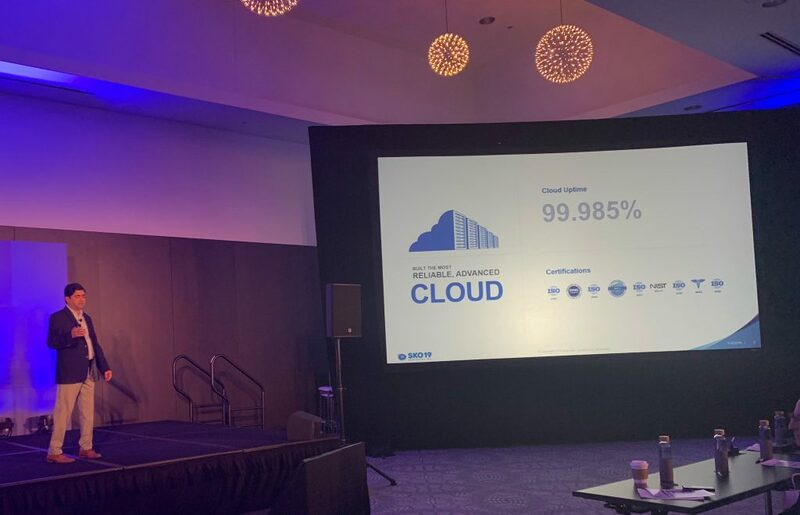 Shawn Misquitta, VP of Product Management, shared what was coming next with Work 10.3, iManage Drive, and several security enhancements including native two-factor authentication, more auditing, and ransomware protection. Not only is the iManage Cloud improving, but so are the methods that partners like Kraft Kennedy will use to uplift on-premise iManage systems to the cloud. Starting this year, nearly all cloud uplift projects will require use of a third-party library synchronization tool to help manage the data transfer. This will significantly ease cutover strategies, as these tools will keep the on premise system in sync with the cloud regularly. Simply stop the sync, re-point your clients to the cloud, and presto — you are now on iManage Cloud. These tools, provided by RBRO Solutions, SeeUnity and Prosperoware (in Q2 2019) will also provide the ability to map or clean up your metadata as well. In addition, iManage is introducing a continuous learning model to ensure that partners are up to date with the latest features, modules, and certification levels. The second theme was overall security with the Govern product line. Many sessions highlighted the fact that the “need to know” security model can be achieved through Security Policy Manager (SPM). Combined with Threat Manager (TM), SPM will ensure that only those who need to be working on a matter are the ones accessing that matter. And to allay fears that this will negatively affect knowledge management, iManage Insight (running on RAVN) can be leveraged to ensure that relevant content is delivered to those who need it. Enhancements to SPM and TM include integration with Workshare Secure for DLP functionality, and deeper content analysis using RAVN technologies. iManage is continuing to make strides in their Cloud platform, and we look forward to helping more iManage customers embrace and leverage the iManage Cloud to easily take advantage of what is to come in 2019 and beyond.